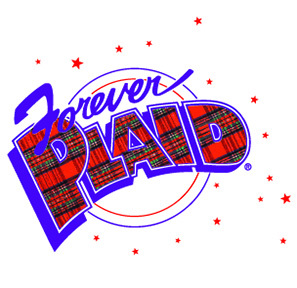 A delightful musical revue set in the 50s era, FOREVER PLAID tells the tale of four childhood friends who after paying their dues performing at grocery story grand openings, weddings and anniversaries, have an opportunity to do a real gig. Unfortunately, the dream is short lived when their car is fatally broadsided by a bus of Catholic schoolgirls on their way to see the Beatles on The Ed Sullivan Show. But fear not, by some twist of fate, they are brought back to Earth to perform. FOREVER PLAID is that concert and we are their audience. The popular musical includes a long list of 50s favorites in tight harmony, including: “Three Coins in the Fountain”; “Undecided”; “Gotta Be This or That”; “Moments to Remember”; “Crazy ‘Bout Ya, Baby”; “No, Not Much”; “Sixteen Tons”; “Chain Gang”; “Perfidia”; “Cry”; “Heart and Soul”; “Lady of Spain”; “Scotland the Brave”; “Shangri-La”; “Rags to Riches”; and “Love is a Many-Splendored Thing”.